There are times when students get really scared of the particular subject such as English. They fail to understand this subject; they become unable to learn a single word. Are you one of them? Or, are you trying to save someone who is unable to learn this subject properly? If you have stopped by reading this, you must be searching effective ways to learn English. There are some important parts which you need to focus on. First comes grammar, the toughest part (most students find it to be so). It is very important for you to master English grammar. Grammar and punctuation are required to be maintained while writing and speaking. The game is all about the uses of commas, full stops, capital letters, pronounces and so on. There are times when the school authorities decide to take quizzes on English grammar. There will be questions based on plurals, verbs, uses of punctuation and many more. English learning games are very effective in students’ learning process. These are the playful ways to learn all difficult parts of grammar. These games often include challenges of building words, games of solving puzzles, fill in the blanks sessions and synonym antonym chapters. You will also have to know about verbs, nouns adjectives and others. You might hate this idea, but believe me, it works. In almost every grammar book, there are exercises at the end of each chapter. Try to solve these questions listed there as much possible. You may succeed at the first attempt. Keep on solving questions again and again. Take the help of your teachers or your parents. Take online help of grammar learning sites. These days, every challenge has become easier to solve with the help of the super-fast internet connection. If you have computer system and a high-speed internet connection, no one can stop you from learning the English language. 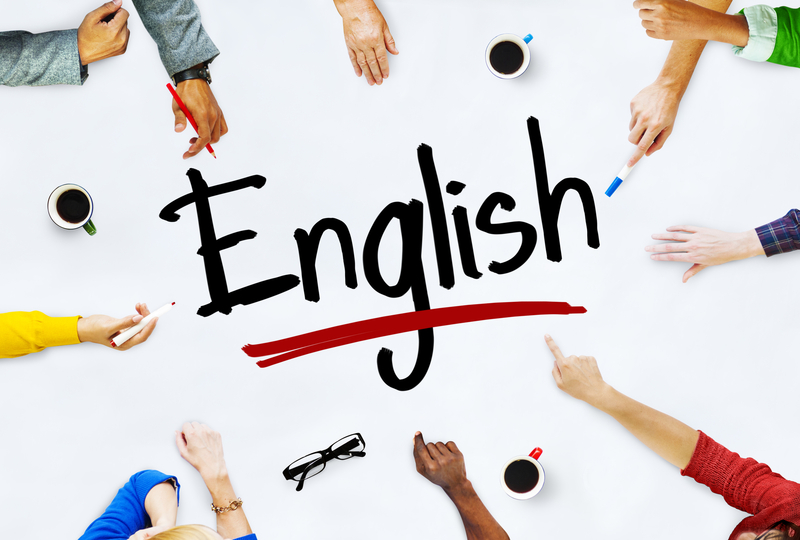 There are several websites both for spoken English and writing English. There are also video tutorials which help to pronounce the words properly. There are many audiovisuals out there on the internet that helps you to differentiate between each and every English word (might sound similar). You need to know the differences between the same sounding words. Make sure to get the online help while learning English. If you didn’t have an internet connection at your home, go to the nearby cyber cafes and look for the scope to watch all videos and read all information that are present in different websites that teach grammar. Are you looking for some of the popular pages for learning the grammar? Here I am suggesting same names of websites which are just perfect to learn the grammar. These include grammar exercises, grammar gold, grammar page, interactive exercises, grammar bytes and daily grammar. Learning the usage of all the words in a sentence isn’t only enough to be skilled in the English language. It is the language that has helped the masters to create marvelous pieces of literature. There are many layers in the language. After learning all the grammar and punctuation, vocabulary cones next. Congratulation to you knows all the usage of grammar. But if you lack the stock of words, you will never hold the attention of your readers or your listeners. Still you can manage with shortcomings of words when you are speaking in English. When you are writing in English, you need to have a long list of words ready. You need to know many synonyms and antonyms before writing a piece worth reading. Repetition of same words always fails to catch the readers’ fancy. You need to use many attractive synonyms to express a similar idea multiple times in a write-up. Vocabulary is the strong and effective tool which can enrich your knowledge of English. It is coming from my personal experience. I have learned the language by reading out the classic novels. Reach out to the masterpieces of Shakespeare, Victor Marie Hugo, John Keats and Tennyson. If you have had enough knowledge of the grammar and the basics of the language, reading out the classics would be a great option to enrich your knowledge. I said to read classics earlier, only to master the art of the languages. After coping with all your weaknesses regarding the language, you must try to find your own style. What is the purpose of learning the language? Try to decide that first. If you want to be a motivational speaker, try to read the fancy speeches given by the popular speakers. I suggest to read the write ups of Mark Twaine. You can read out all the modern blog posts and articles published on the internet. In short, make it a habit to write and read as much as possible. Remember learning has no limits; you can do it whenever you want to. Besides, if you want to know more tips on how to study better, you can find information about “Missed your class? How to finish your homework then? Missed Your Class? How to Finish Your Homework Then? How to Inspire Your Child to Take up Homework Challenge?